On this evening as the sun was sinking low in the sky with just a small amount of cloudy haze to diffuse the light, I shot this picture of a humpbacks tail. 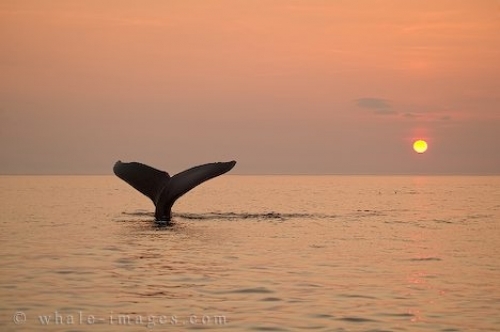 Sunsets are my favourite time and I'd been searching for a shot just like this one where the whale and the setting sun are in the same frame, with spectacular lighting and calm waters. Sunsets at their best!